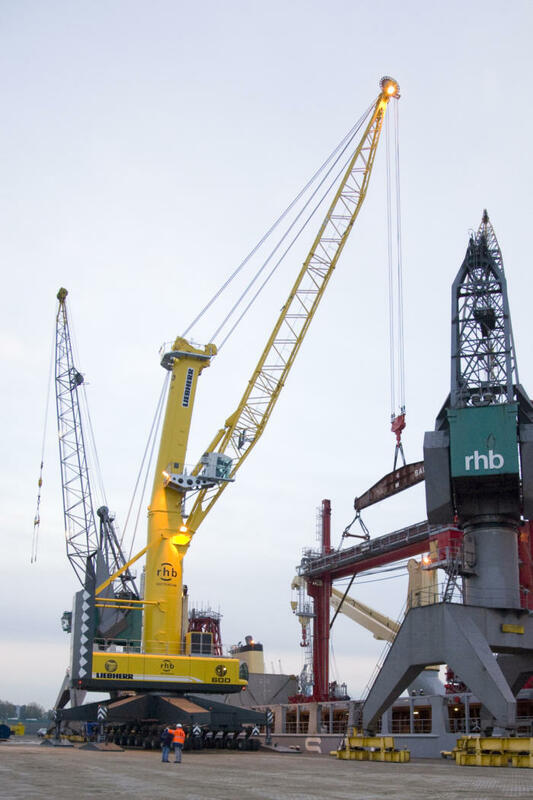 RHB has purchased the world’s most powerful mobile harbour crane. 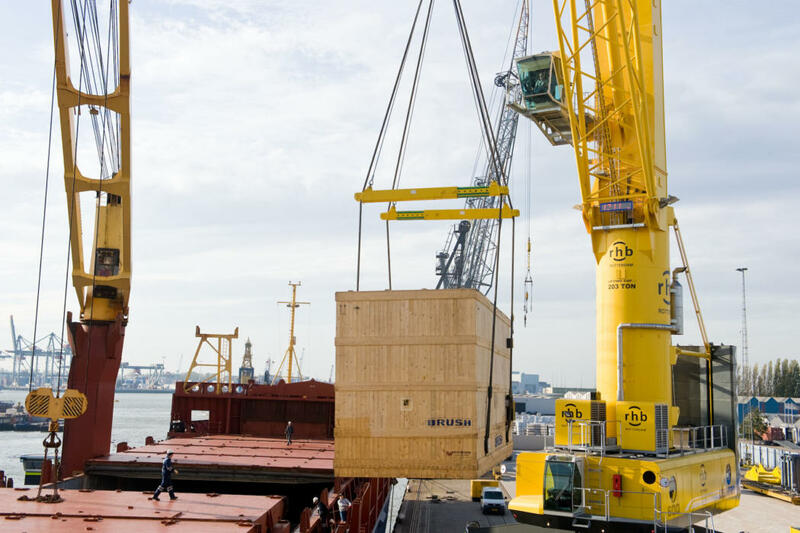 This crane has a lifting capacity of 208 tons and is designed for safe and fast handling of industrial break bulk, project cargo, heavy lifts and general cargo. 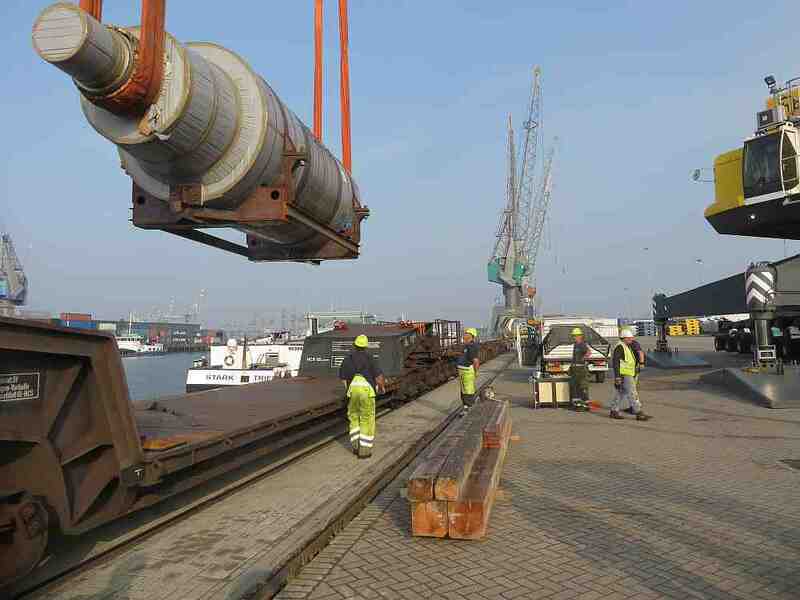 Savings in transhipment time of up to fifty percent can also be realised. 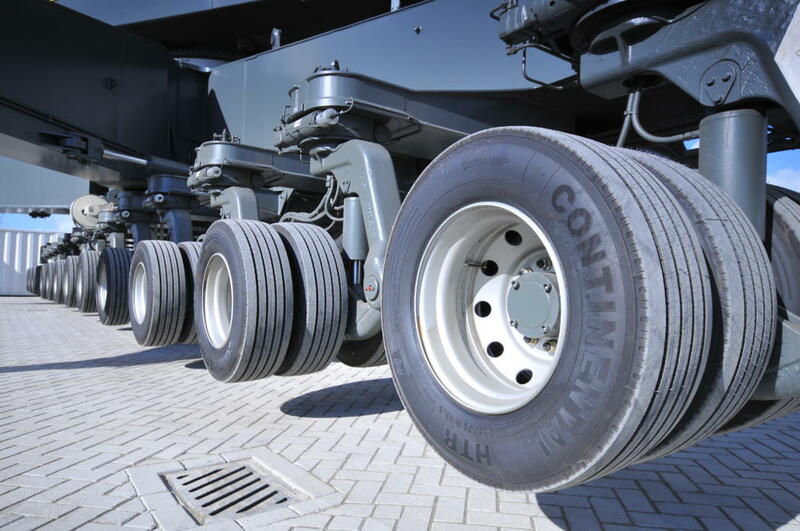 A big advantage. 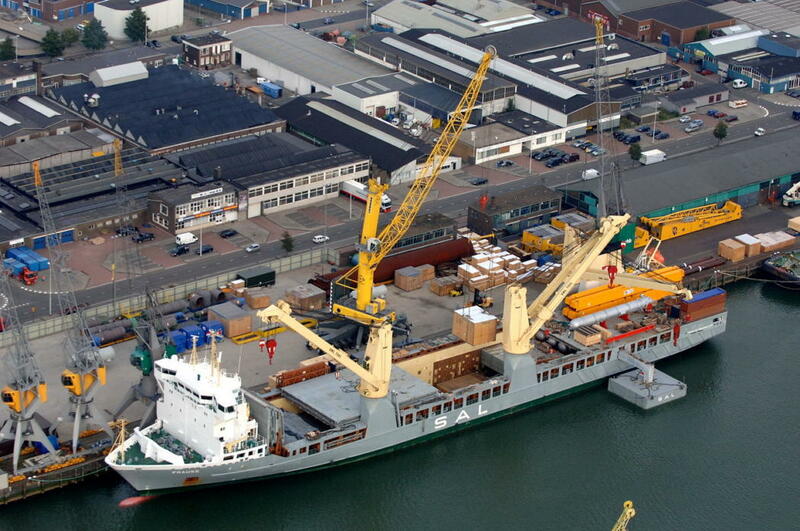 Type: Liebherr LHM 600-S Project Cargo & Heavy Lift Crane. 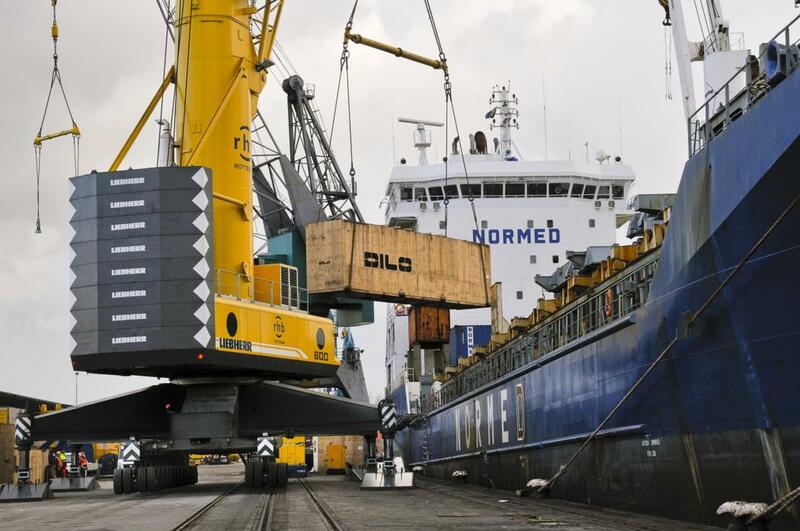 Lifting Cap: 208 tons at 21 metres, 50 tons at 58 metres. 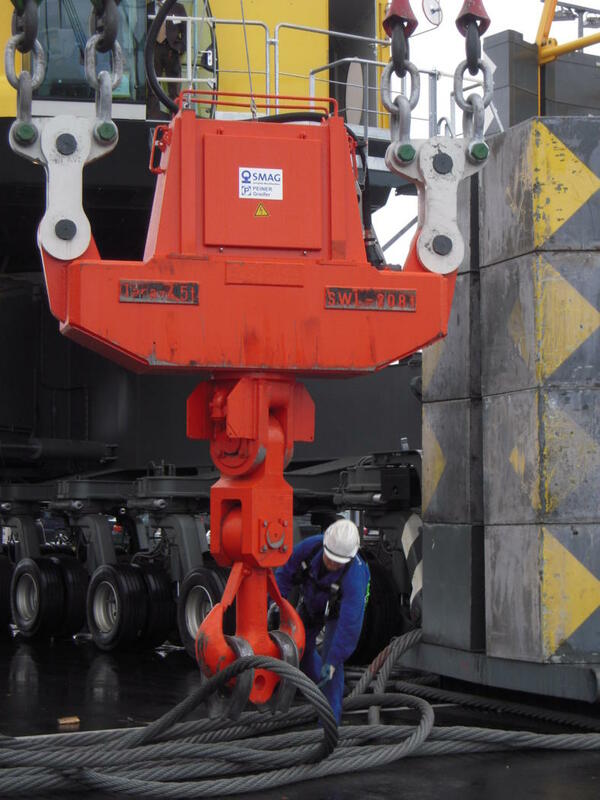 Lifting height: 45 metres max. 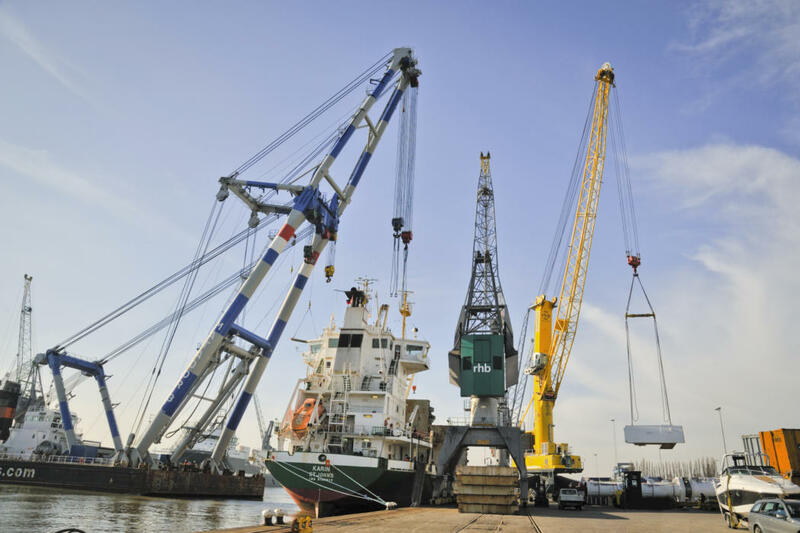 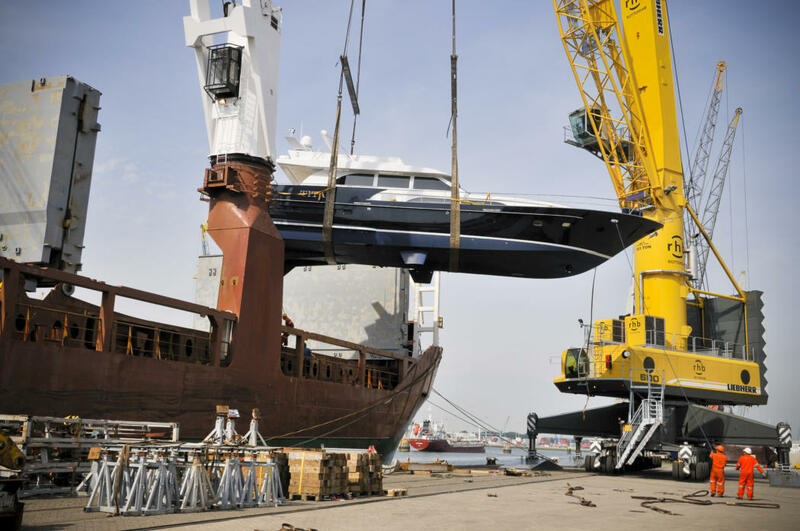 Besides our own heavy lift cranes, we use our shorecranes and partner floating cranes for the handling of heavies up to 1.800 tons capacity or higher if combined lifting is possible and ofcourse the ships cranes where available.